To fully enjoy the backcountry you need gear. The Husky’s practical CG (Center of Gravity) Envelope is designed to let you stow more and carry more – and do it safely. That means a nicely equipped* Husky aircraft can carry up to 842 lbs, dramatically increasing the mission profile of the aircraft. Other manufacturers may claim high useful load numbers for their planes, but those numbers can be deceiving. The CG Envelope of other planes is significantly less than a Husky’s due to the design of the airframe itself. Husky stands alone in its class for its CG Envelope, performance and load carrying capabilities. A Husky hauls more, but provides impressive fuel economy. 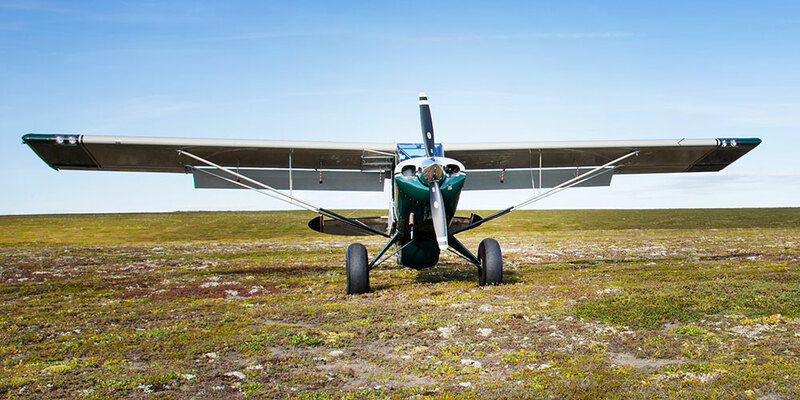 You and your passenger, and all the gear you pack, can fly 800 miles without refueling. And, the stamina and brawn of a Husky means you won’t have to circle to get over that peak – you can just pull back and climb. The Husky has a gross weight in excess of a REAL ton (2250 lbs.) ± 925lb Useful Load. *Standard features + right side landing light, rear seat and defrost kit, aft stowage, side baggage, bose and Garmin 530 = 1358 lbs empty. Husky has features that are “standard” that may be available as “options” by other manufacturers – if available at all. Your Husky A-1C-180 Aircraft is delivered with the following standard equipment: Lycoming 180 HP engine, Hartzell 76” constant speed propeller, mass and aerodynamically balanced ailerons (without spades), extended flaps and new flap control system. Complete 14 volt electrical system, full night lighting system including dual taxi and landing lights, dual wing tip anti collision strobe lights, instrument and interior lights, VFR instruments including altimeter, airspeed indicator, manifold pressure and magnetic compass. 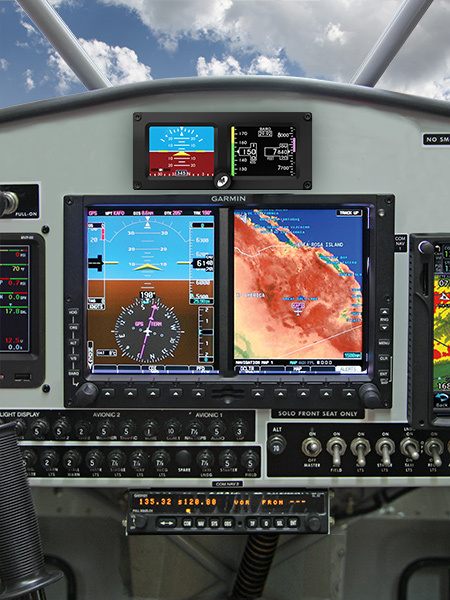 Electronic gauges: digital tachometer, oil temperature, oil pressure, digital CHT/EGT, 8.50×6 tires, polished hub caps, Alaskan Bushwheel tail wheel, float fittings, lift rings, front seat inertia reel with 5 point harness, push to talk switches on throttles, ELT, water traps for pitot and static systems, Oregon Aero special seat cushions and 3 color choice standard paint scheme. 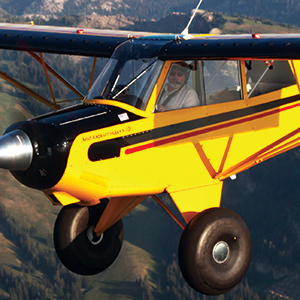 The rugged, reliable Husky A-1C-180 was designed for people who’d rather fly a real airplane. 60% Span semi-fowler flaps allow shorter take-offs and landings – meaning you’ll have a lot more fun in a Husky. Try a few touch-and-goes and you’ll be laughing out loud as you realize what a Husky can do. 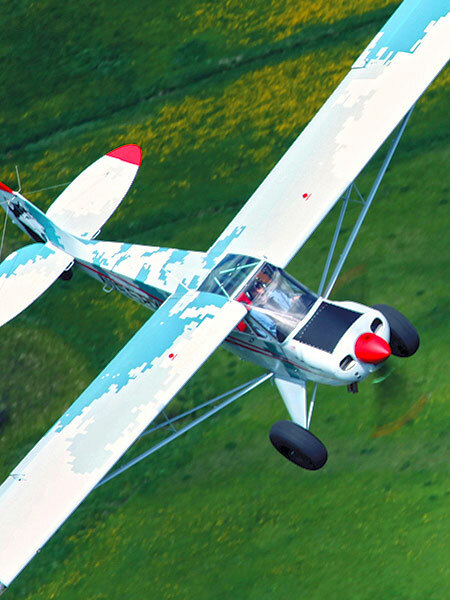 In addition, you’ll discover increased stability during flight, as well as during take-offs and landings, due to the removal of spades and the installation of advanced performance ailerons. Look ma… No Spades – Our aileron has no spade. The aileron is mass and aerodynamically balanced. The aileron has a deeper chord and shorter span. The A-1C has a Stick force pressure that is about four pounds. Designed to provide three settings, 10°, 20° and 30°, the handle activates the flaps with considerably shorter travel. The leverage point for deployment is always in front of the pilot. The handle offers better leverage, takes less effort and is less cumbersome to operate. A Husky is a fully equipped, flying machine that is second to none. But at Aviat Aircraft we appreciate and encourage personal style. Paint, sound systems, rear seat heat & defrost, ergonomic (and stylish) leather seats, floats, skis, advanced avionics packages – the options are endless. When you own a Husky, you own an aircraft that is built to meet your specific needs and to the level of comfort and style you demand. Your Husky is designed and built for you alone, your personal statement. Best in class performance, capability, versatility, reliability and safety. The A-1B-160, A-1C-180 and 200 were designed to meet rigid government specs. It is certified to fly with a gross weight in excess of a FULL ton. It makes an excellent IFR platform. Certified FAR23: Day/Night-VFR/IFR. You can’t beat it for performance, for fun flying, capability, ease of handling, speed, comfort and range. 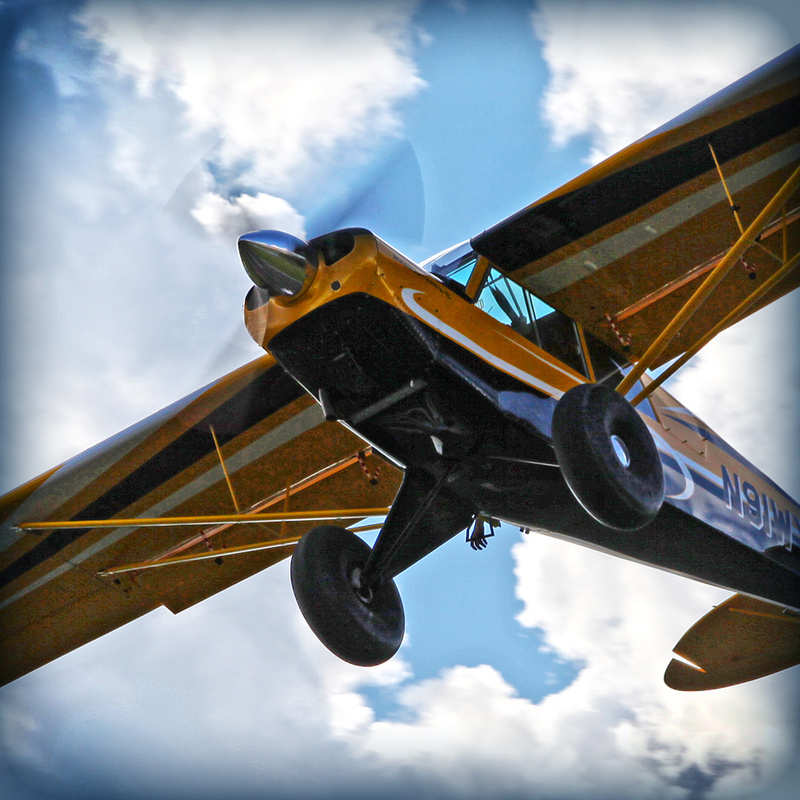 You can’t beat it for STOL performance, for fun flying, ease of handling, speed, comfort and range. The Husky is best in its class. Think of it as a passport to the backcountry. 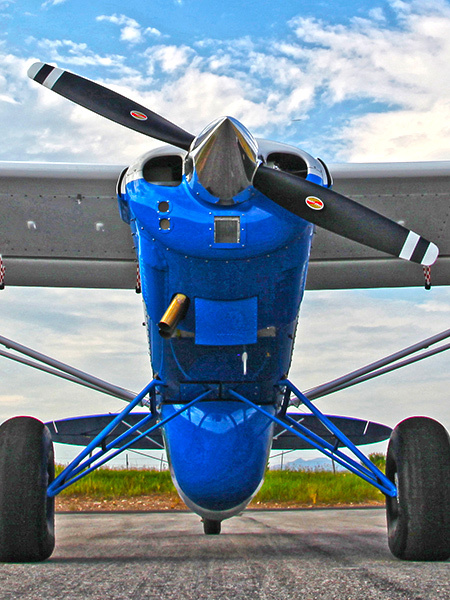 It is certified to fly with a gross weight in excess of a REAL ton (2200 pounds on floats, 2250 on wheels). Nothing can touch it for getting into and out of remote areas. You’ll find that a Husky retains its value better than any other plane in its class. 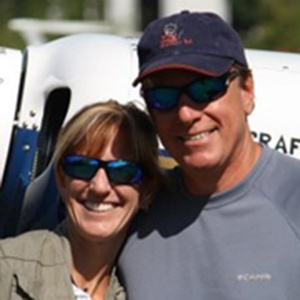 You can’t make a better investment in recreational and utility flying. 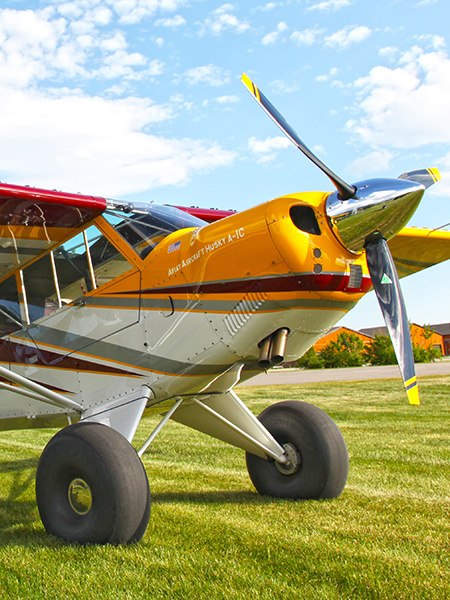 You’ll spend a little more up front, but in the long run you’ll save as you fly high in a Husky – an airplane that has been called the finest personal aircraft in the skies today. 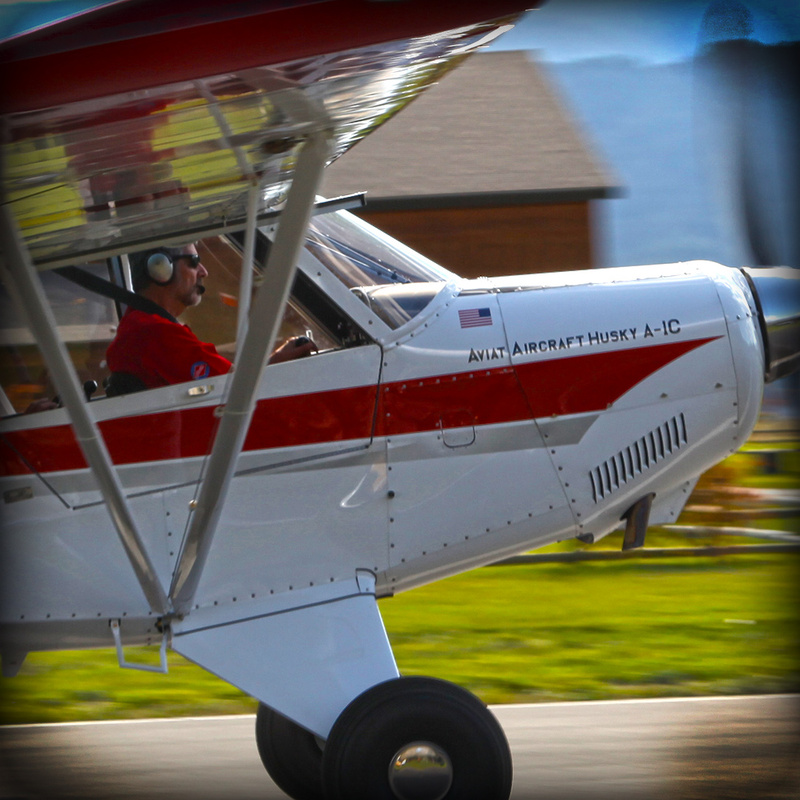 Get behind the stick of a Husky Aircraft and you’ll quickly realize what it means to be the Leader of the Pack. 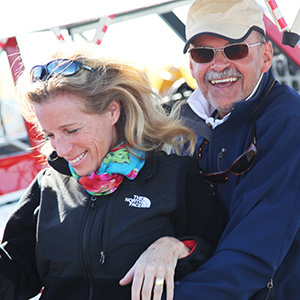 I learned how to fly in and expected to buy a Cirrus. When I saw all my buddies flying Huskys I didn’t want to be left out of the fun. So, I bought a Husky and never looked back. I mentioned to a Cirrus pilot that I got my initial training in a Cirrus. He said, “Then you bought a Husky to really learn to fly?” I said, “Yes”. Once you fly a Husky you buy one, they speak for themselves. 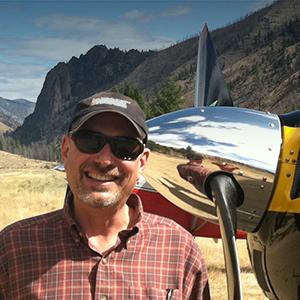 I’ve owned Cubs, Turbine Maules, AirCams and Cessna Aircraft. I got into a Husky for the first time last week and I was instantly impressed how much confidence it gave me. The ailerons responded to my every move. When I got into some mountain turbulence, no big deal. The plane is so well balanced that it just molds itself to the pilot – all inputs are immediate. It was love at first flight. 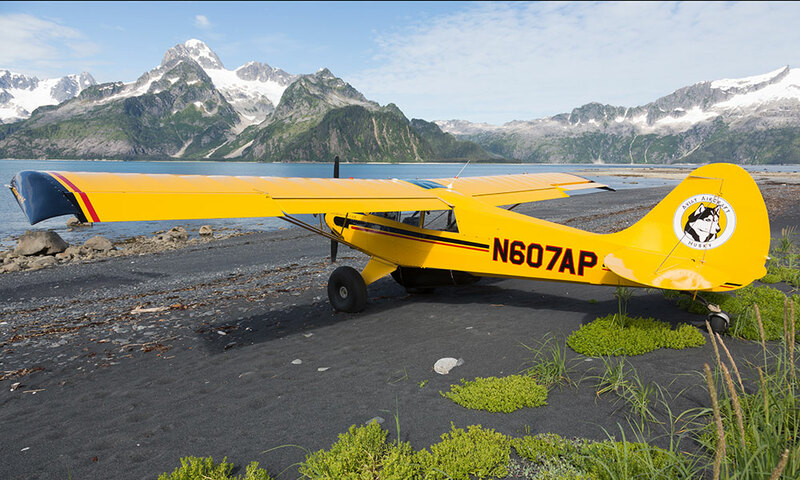 We use the Husky as a refined sightseeing cruiser or a backcountry flyer that can handle almost any terrain. It can do the rough and tough quite well and in good comfort (seats and cabin heater are fabulous). Very stable and responsive, well behaved in all flight regimens and pretty efficient in doing so. Try HuskyFlight. Your Ride to Freedom.